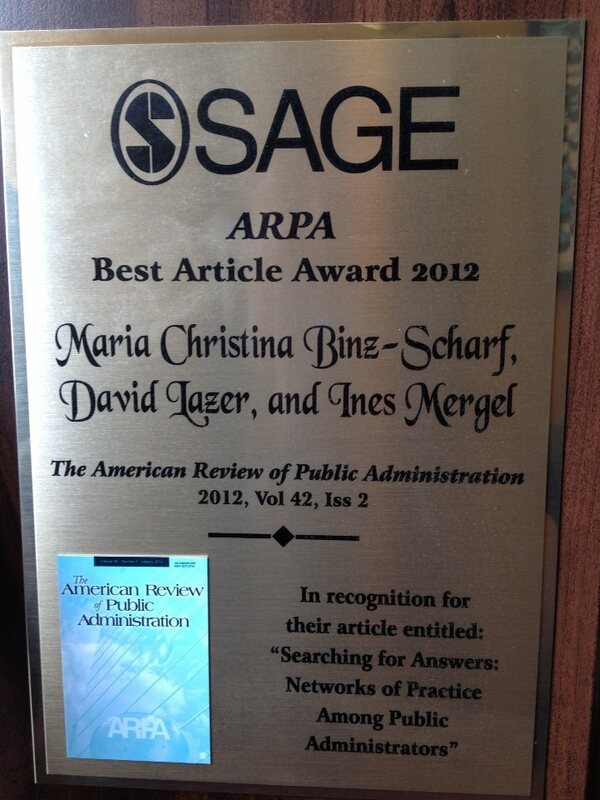 Maria Christina Binz-Scharf, David Lazer and I were just awarded the 2012 Best Article Award by the American Review of Public Administration for our article “Searching for Answers: Networks of Practice Among Public Administrators“. An earlier version of the paper is available on SSRN. Binz-Scharf, M. C., Lazer, D., Mergel, I. 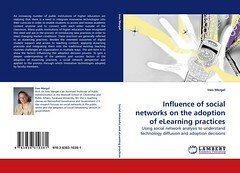 (2012): Searching for answers: Networks of practice among public administrators, in: ARPA – The American Review of Public Administration, 42(2), pp. 202-225. We just published the following article on the diffusion and adoption of web practices among Members of Congress’ offices in the International Public Management Journal. Lazer, David; Mergel, Ines; Ziniel, Curtis; Esterling, Kevin; Neblo, Michael (2011): The Multiple Institutional Logics of Innovation, in: International Public Management Journal, 14:3, pp. 311-340, doi: 10.1080/10967494.2011.618308. Leave a comment in case you would like to read the electronic copy of the article!